Typeface 2 is perhaps the best Font Manager, however, it is not free. Font manager software enables graphic designers to organize large font collections more efficiently, not to mention to be able to browse faster. The best font manager programs include options and tools for activating and deactivating fonts, organizing them into libraries and groups, previewing and printing sample glyphs, searching font collections and more besides. As such, a font manager is a fairly essential bit of kit for anybody who needs to utilize a wide range of fonts for graphics, document and website design. These are a few of the best font management software and alternatives for Typeface 2 for Microsoft Windows, Apple macOS, and Linux. FontBase was not created to be your font installer/uninstaller. FontBase is a global font platform, that can cover all your font related tasks. Learn how to quickly manage many fonts, create collections, organize your folders, and start using your fonts in an efficient way with the power of FontBase. All platforms. Professional features. Beautiful UI. Totally free. FontBase is the font manager of the new generation, built by designers, for designers. OpenType Features – The largest set of supported OpenType features of any font software at your fingertips. GlyphsNew – View and copy any glyph for any language and any font in your collection. 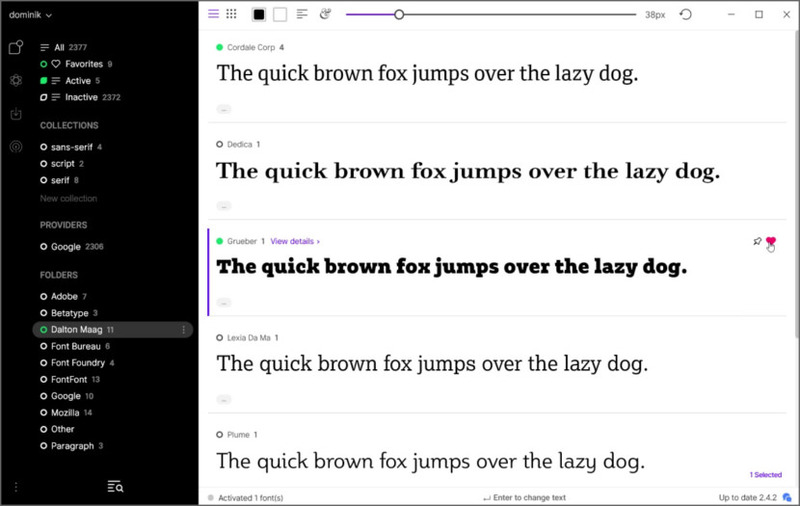 Styling – Adjust color, background, text alignment, font size and line height for your fonts. Google Fonts – Use any font from Google’s library in a single click! As if it were local. SkyFonts is the simplest way to try, install, and manage fonts. 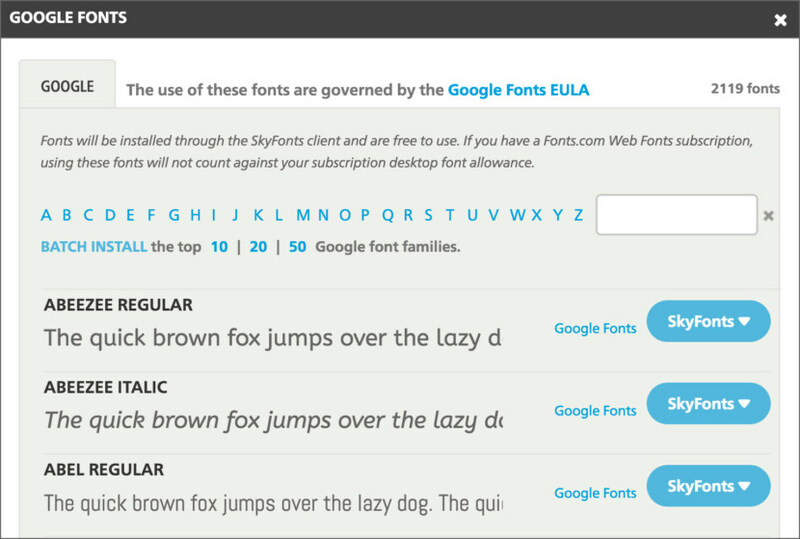 With SkyFonts, you can install fonts from participating sites with a single click, and fonts are available on your computer in seconds. 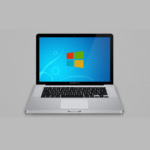 With the SkyFonts app installed on your Windows or Mac OSX system, you simply browse your favorite font websites to find the perfect font, then click the Install button on the site. 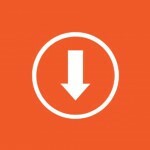 SkyFonts will download and activate your fonts in seconds. If you are a designer using many fonts, nexusfont is a must have application. You can manage/compare/choose fonts with well organized features. You don’t need to install all fonts to the system. You can load fonts you are working with only. It’s simple and easy! 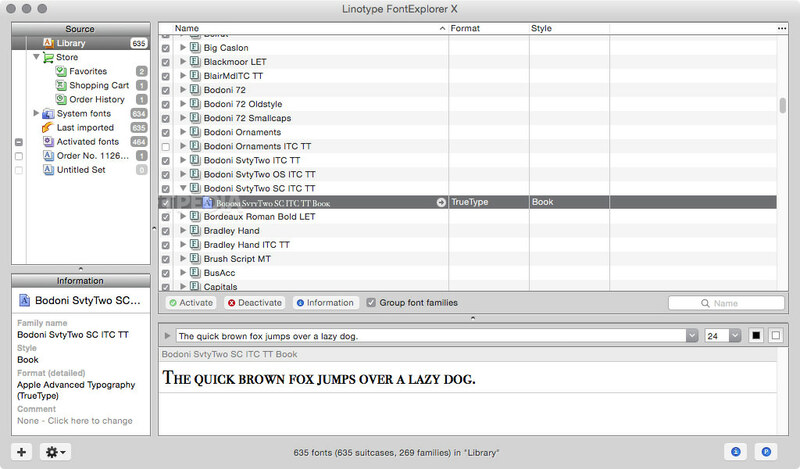 Font Explorer X has been the font manager of choice by macOS users for many years. Originally this was a free version, but has since been superseded by Font Explorer X Pro. The free version has since been removed from the Font Explorer website, however this handy free version is still accessible via Softpedia. 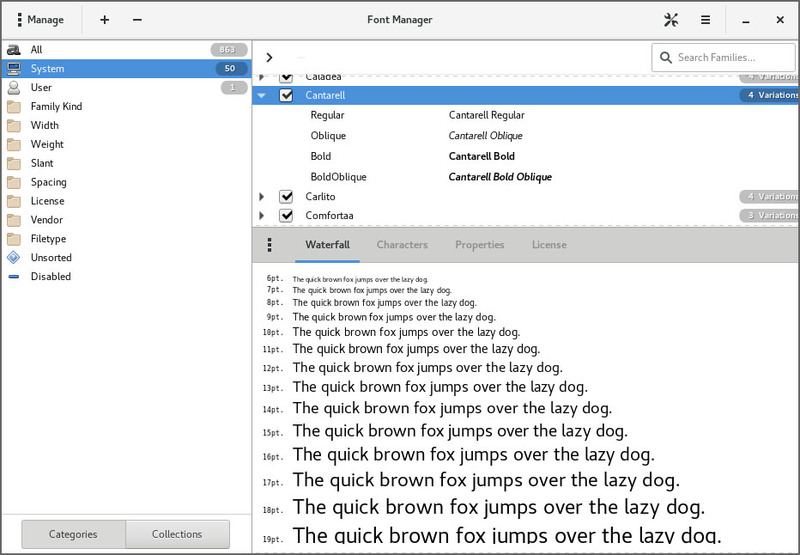 Font Manager is intended to provide a way for average users to easily manage desktop fonts, without having to resort to command line tools or editing configuration files by hand. 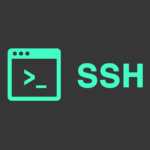 While designed primarily with the Gnome Desktop Environment in mind, it should work well with other Gtk+ desktop environments. 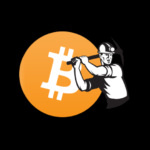 Looks like FontBase will only install TTF.